Flipboard takes the news you want to read and organizes it into a wonderfully designed magazine format. 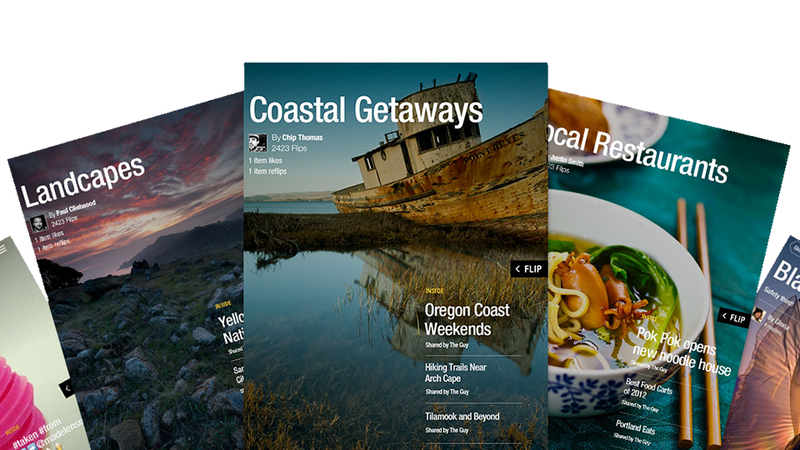 And now, with an update to its iOS apps, it lets you create your own magazines for specific themes, topics, events, and so on. Want to create a magazine about, say, New York City public transit? It's fairly simple. You just hit the plus button on anything you see in Flipboard—whether it's a story about cab drivers, a photo of abandoned train stations, or a relevant video or sound clip—then select "create magazine" and add a title and description. The process a similar to adding items to a Pinterest board, but the auto-generated design of your Flipboard magazine is so much prettier. Once you're done, anyone can search for and subscribe to your digital 'zine, and you can look for ones that interest you, too. So say you search "Coachella," you can find magazines that others have created about the music festival. Within them you can read articles and hear songs from some of the featured artists as you flip through. And certain publishers are partnering with Flipboard to create their own magazines too—Rolling Stone for example has created one that looks at the history of the Beatles with sound and all kinds of multimedia content.